The design for Newquay Skatepark has been drawn up to meet the needs of the local wheeled sports community of Newquay and serve as a facility for riders both nationally and internationally. The design and all-inclusive variety of features within the facility will appeal to the wide spectrum of different riding disciplines, age groups and abilities of rider. 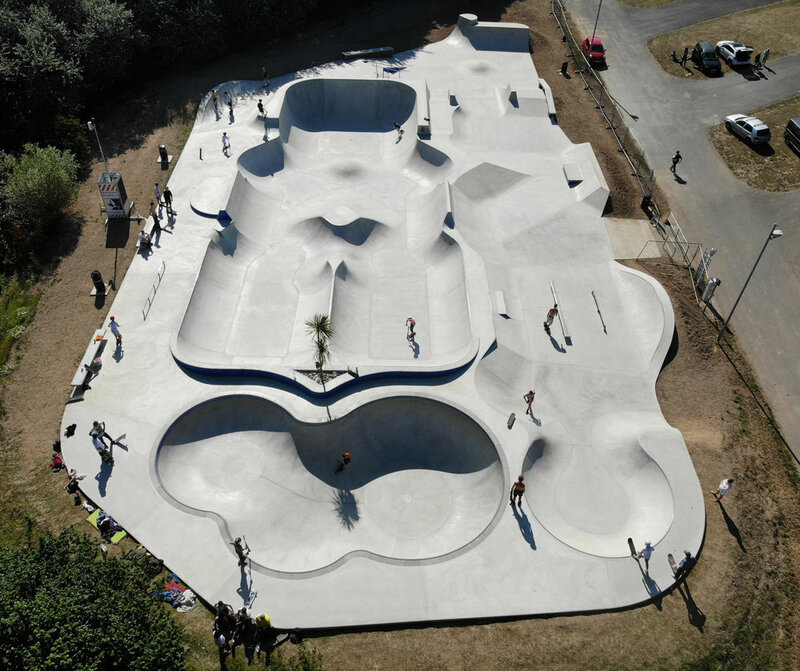 This style of skatepark is completely unique, it is a statement skatepark facility with a fresh approach to design. The facility has been carefully organised into four separate areas; a long expansive street run, an internationally significant bowl, a retro-style pool, and stairset. The idea behind the facility is that all the routes around the skatepark link up to form an enormous flowpark when the facility is quiet or separate, independent areas when the park is busy. Segregating the space into different zones, will enable large numbers of people to use the space, at the same time and in a safe manner.